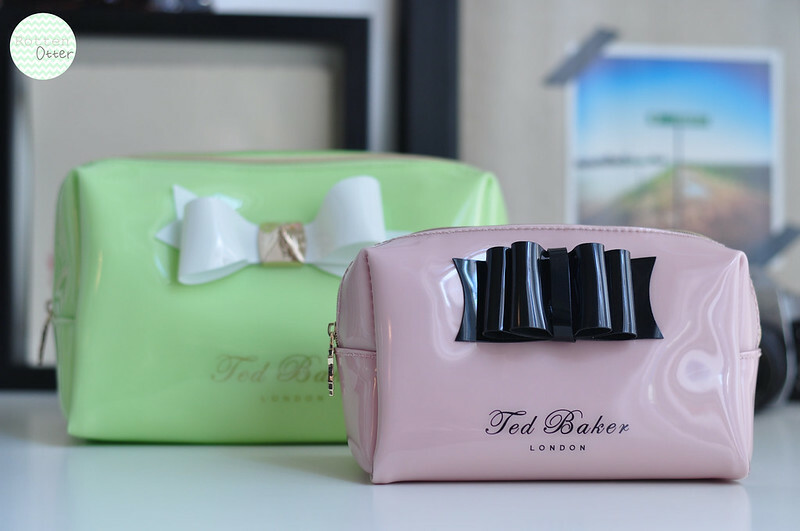 This time last year I fell in love with the pink Ted Baker make-up bag after reading Amy's blog and seeing her feature one. 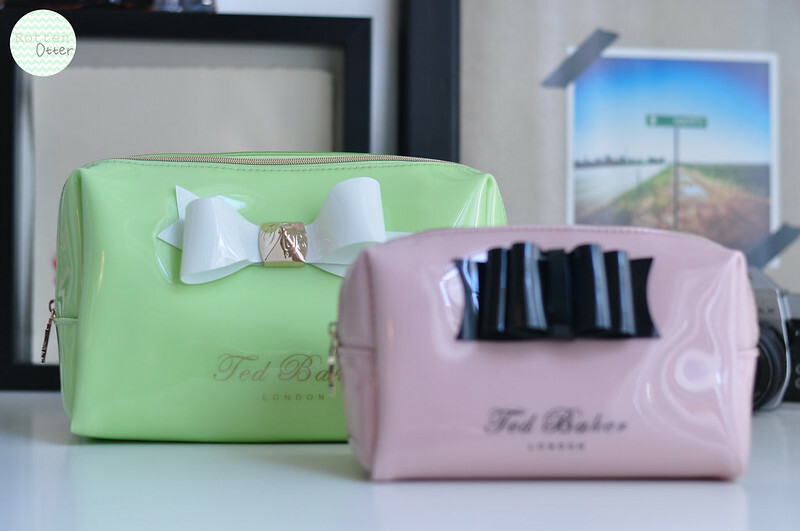 I then bought one when I was in London for my cousins Birthday as I don't think we had a Ted Baker store then. Since then it's been perfect for storing my skin care and everyday make-up bits and bobs. Recently though I haven't been able to close it because I've added more products to my routine and have been trying some new things so it was about time I bought the next size up. The light green bag now houses all my skin care and the pink one is solely for my make-up. I absolutely love them and although they are expensive, £25-£29 depending on size, they're the only make-up bags I've found myself using on an everyday basis. All the other ones I've had I've only used for traveling and haven't really liked them. These now sit proudly on either my bedside table or my make shift dressing table. I love these, I've been after both sizes for ages. My sister has one of these, and I bought her the matching mini handbag for her birthday so she could take her lunch to work with her! I love that they are wipe clean! They always look sparkly and new!